Beautiful 1900 sq. ft., 4 bedroom, 2 bath home with 3 car garage in Rock Bridge Estates. Open floor plan with modern finishes. Natural gas log fireplace, range, heat, and hot water heater to save on utility cost. Custom cabinetry painted white in the eat-in kitchen, island with ship lap, walk-in pantry, stainless appliances, and granite countertops. Modern finishes are throughout the home with gray tones of paint and trim is painted white. Ship lap detail around the front entry and fireplace. Tile throughout home except carpet in bedrooms makes clean up a breeze. Master bedroom is spacious and walk-in closet has plenty of storage space plus a built-in dresser. All guest bedrooms are roomy with walk-in closets. All this plus sodded yard and privacy fenced yard. Located close to Elgin schools, shopping, splash park, and Osborn Park. Estimated completion is early August. Dining Room Size: 11&apos;11" X 10&apos;0"
Kitchen Size: 14&apos;9" X 12&apos;7"
Living Room Size: 18&apos;0" X 12&apos;1"
Master Bedroom Size: 15&apos;6" X 13&apos;2"
Utility Room Size: 6&apos;0" X 5&apos;8"
2019 Lawton Board of Realtors. All rights reserved. Information deemed to be reliable but not guaranteed. 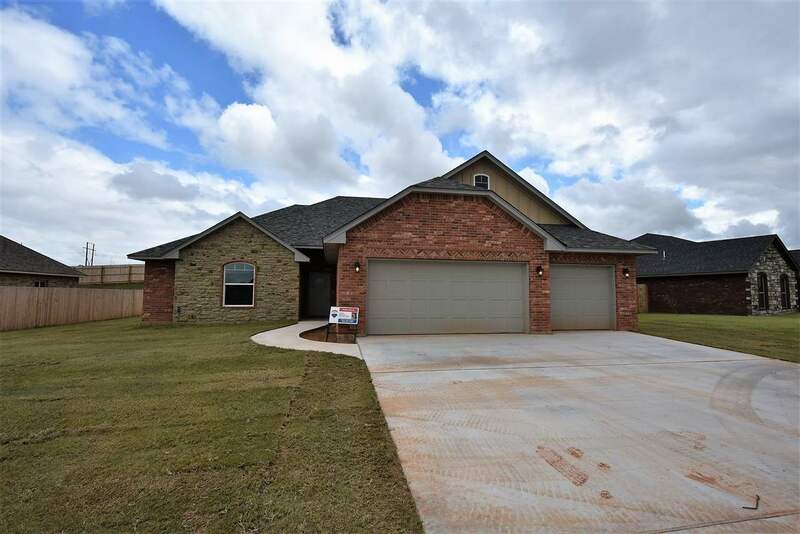 The data relating to real estate for sale on this website comes from Lawton Board of Realtors and the Broker Reciprocity Program.sm. Real estate listings held by brokerage firms other than are marked with the BR logo and detailed information about them includes the name of the listing brokers. Listing broker has attempted to offer accurate data, but buyers are advised to confirm all items. Information last updated on 2019-04-25.